Take advantage of our exposure! Bring your bike to us and allow us to market & sell your Harley-Davidson® for a small, standard commission. Don't worry about negotiating, haggling, bargaining, dickering or anything else. Don't bother with buyer's phone calls or arranging time to show your bike. We'll handle all the paperwork and buyer financing*. We make it simple for you to increase the audience to which your motorcycle is exposed. Parking your bike with a For Sale sign on Main Street is hit-or-miss. When you consign your bike with us, it's featured right on our showroom floor and is exposed to every single person who comes through the dealership -- and remember, these people are not here for the flowers... they're interested in Harley-Davidson® motorcycles. Your consigned bike is listed on our website along with all of our inventory, and is visited by hundreds of visitors each week. This immediately puts your bike in front of visitors looking to buy! Sellers and Buyers benefit from dealing directly with Harley-Davidson®, instead of the potential of dealing with the unknown. * Certain restrictions and limits apply. Visit or call the dealership for details. 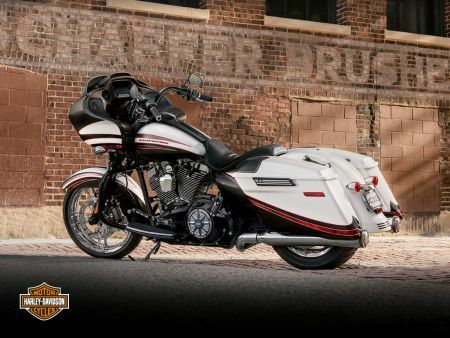 Harley-Davidson® Financial Services - Buyers can finance their purchase through our Finance department and H-D Financial Services® -- this means having truly qualified buyers without having to worry about their payment.